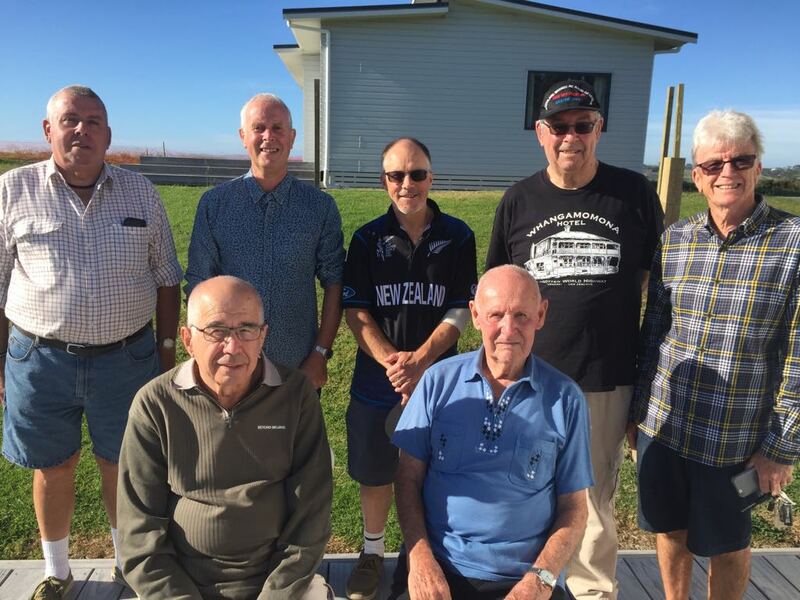 Here are the conventioneers who attended the DX League’s 70th anniversary gathering at Mangawhai on 6-9 April. Standing: Peter Mott, Sutton Burtenshaw (Patron), Kaye Burtenshaw, Yuri Muzyka, Stuart Forsyth (Chief Editor), Dorothy de Maine, Joyce Marsh, Adrian Sainsbury (RNZ Pacific), Jeannette Greenyer, Steven Greenyer, Sandra Clark, Brian Withers, Ray Babbage, Angela Mott, Phil van de Paverd, Ray Crawford, Arthur de Maine (President). Kneeling: Paul Ormandy, Bill Marsh, Bryan Clark. Missing: David Norrie, Barry Hartley. Convention 2018 in Mangawhai went brilliantly. A full report will appear in due course. 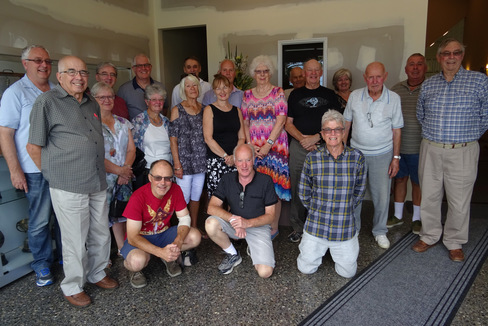 Below is a photo of the life members in attendance. Greetings to all of you lucky people who somehow found themselves in Mangawhai over the Easter period. My thoughts of those twiddling the knobs for that elusive far away signal was with me throughout Easter. And we also have THE MAGNIFICENT TWENTY. Both great photos.